Imagine your event headlined by Vicetone. How much buzz would booking Vicetone bring to your event? GTB helps customers Book VIP Shows, Corporate Events, & Private Engagements with top talent for hire. 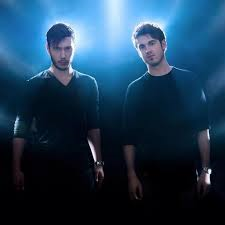 GTB represents clients as they book talent like Vicetone for their event. Click to start The Event Booking Process with Vicetone. Originating from Groningen, Netherland, Vicetone is a Dutch DJ duo who has been active in the DJ community since 2012. The duo consists of Ruben Den Boer and Victor pool, and has been voted into the DJ Mag Top 100 DJs list two years in a row. While specializing in progressive house and electro house, they have been signed to and released tracks through a vast list of record labels including Dim Mak Records, Armada Music, Revealed Recordings, Spinnin Records, Ultra Records, Protocol Recordings, and Monstercat. They have cultivated a very massive group of loyal fans and followers including over 665 thousand likes on their Facebook page, over 275 thousand followers and over 50 million listens on their SoundCloud account, over 100 thousand followers on their Twitter feed, over 70 thousand on their Instagram account, and their YouTube channel has pulled in over 175 subscribers. Their mixes have received a humungous amount of exposure online, while their “End of the Year” mixes are enjoyed by millions, as the “End of the Year Mix 2013” gained over 6 million individual views on YouTube, and the “End of the Year Mix 2014” was viewed just over 5 million times. Ruben and Victor met at the age of 15, when they shared many similar musical tastes and influences such as Swedish House Mafia and Eric Prydz. They began producing and remixing together, remixing tracks of famed artists such as Maroon 5, Calvin Harris, Adele, Zedd, and many more. They began touring and performing worldwide in 2013 and have not looked back since, while being a part of multiple popular tours including Nervo’s #NERVOnation tour in Mexico, and the Nothing Toulouse: North American Tour by Nicky Romero. They are a force to be reckoned with in the EDM world as their popularity and fan base continues to grow at an astronomical rate. Click for Vicetone Event Booking. GTB is a celebrity talent booking agency for paid events. We do not handle media requests, or interviews. GTB will not relay messages to Vicetone or solicit donations on your behalf. While celebrities do donate their time, they will always charge some kind of fee to do any event, project, venue or celebrity appearance. Booking Vicetone Not Quite Right? We have the entertainer for your Event! Putting together a memorable event isn't easy. Booking Vicetone certainly raises the profile of your show or event. GTB is ready to help you make the event flawless, so your attendees remember Vicetone instead of a mix-up. Private Parties, Concerts, Ceremonies, and any other big events require both planning and personnel; Global Talent Booking can help you every step of the way, from booking to advertising a public Vicetone event. Should you prefer a private Vicetone showing, Global Talent Booking has the tools, connections, and expertise to help you manage a velvet roped evening, elegantly! Global Talent Booking has worked with exemplary talent for over 15 years. Booking Vicetone and other world class entertainers is our expertise. From private concerts featuring some of the most famous names in the music industry to corporate events DJed by the best in the industry, we excel at showcasing your image. GTB is ready to help you book your favorite musicians, djs, and celebrity talent; creating memorable entertainment experiences is what we do everyday. Global Talent Booking Agency services help you with event talent booking. Our services include talent scheduling, contract negotiations, marketing/promotions, agent and/or agency interaction, and so much more. We can help you book Vicetone, advertise a public event or help you manage the guest list. Our event booking services can even include the press work after your Vicetone event. Global Talent Booking is here to help you mind the details so your event with Vicetone is `World Class` the first time, each time, and every time. Our entertainment agency will work with you to put the right talent in the right situation world wide. Global Talent Booking is an International talent booking agency. If you are interested in an international Vicetone event booking, click here to get started. We know what it takes to organize events that exceed everyone's expectations, no matter where they are in the world. We look forward to helping book your`s. Click to Start Booking Vicetone. Celebrity Talent, like booking Vicetone, makes all the difference. Contact our Expert Vicetone Booking Agents. We are ready to help you start coordinating your Vicetone event immediately.